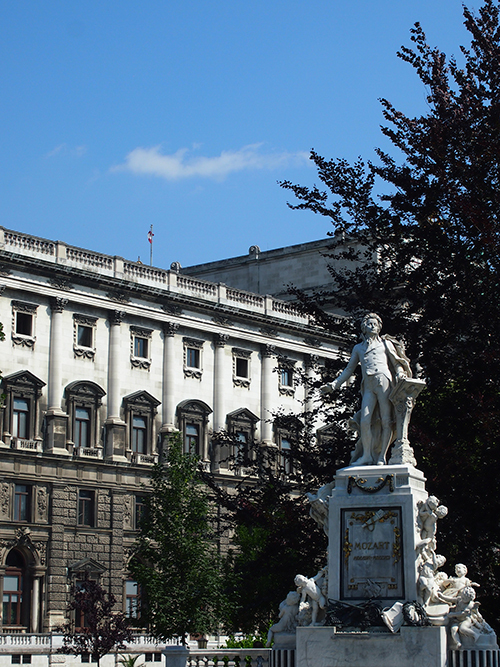 After spamming you all with Budapest posts (here, here, here, and here), I figured I should probably move onto recapping the final stop from last month's vacay -- Vienna. 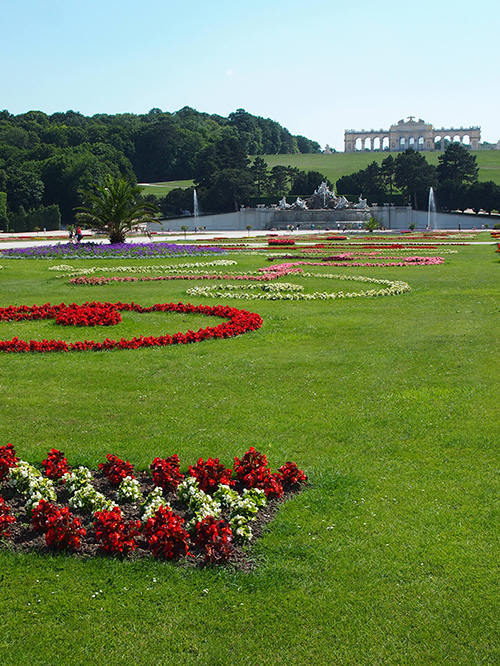 At less than 3 hours away by train from Budapest, it was an easy decision to tack a short visit onto the end of my trip. 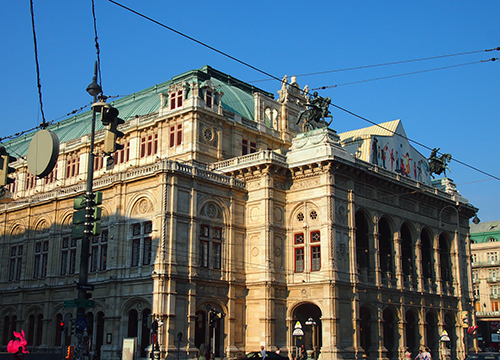 With less than two days in the city, and because I love cycling, I opted for a morning bike tour around the Ringstraße (Ring Road). 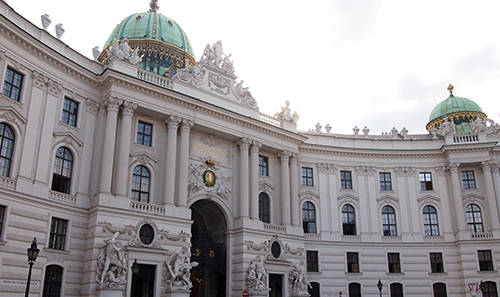 This ended up being a great way to get some exercise and see all the main attractions, including the Hofburg Imperial Palace, Karlskirche, the statue of Mozart in the Burggarten, and the Staatsoper. 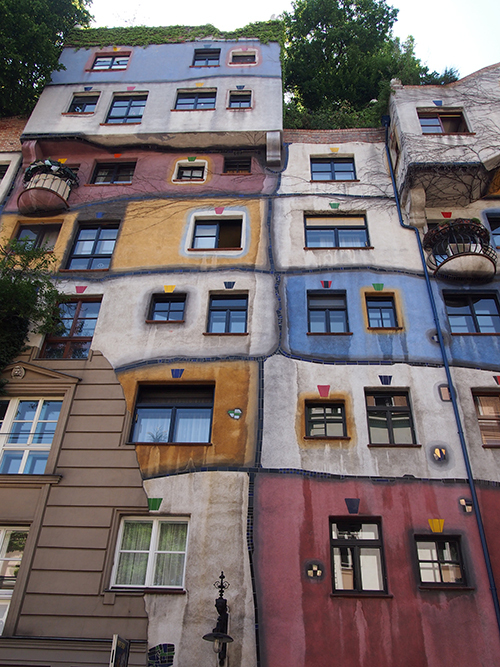 We also ventured outside of the Ringstraße for a short ride along the Danube to Hundertwasserhaus, an expressionist apartment house co-designed by the Austrian artist Friedensreich Hundertwasser. 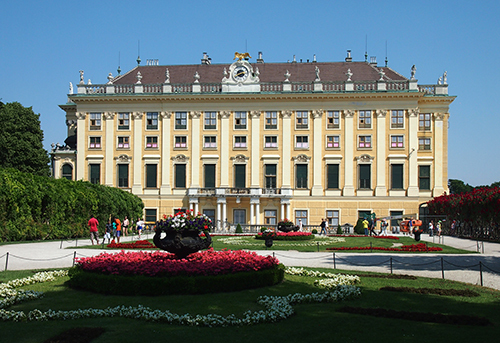 For those who are interested in learning more about the lives of royals, the Schönbrunn Palace is located a short train ride away from the city centre. 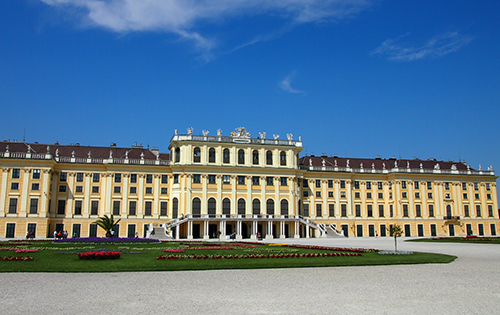 It's a seriously impressive palatial complex, complete with gardens, pavilions, and sculptures. 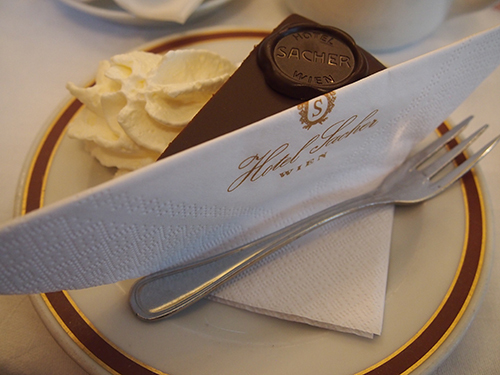 Lastly, a visit to the Hotel Sacher was on my to-do list in order to try their Sacher-Torte. Apparently dubbed the most famous chocolate cake in the world, the Sacher-Torte is a dense chocolate cake with a thin layer of apricot jam and covered in dark chocolate icing. Personally I prefer more moist, fluffy cakes but it was still quite good. And that's it -- my 2015 Eurotrip recaps are now complete. Coupled with my California trip in April (also here and here), I'm sadly almost all maxed out on vacation days for the year. However, I really can't complain... I've been to some super fun places! Oh wow! Such an incredible place. It is amazing that you were able to visit. Oh I miss this city so much! Wow, such beautiful pictures girl!! what a beautiful collection of photos. I didnt know about this famous cake, sounds like heaven! I had never heard of it until this year either but everyone I knew who'd been to Vienna said I had to try it! You look like you are having just so much fun :) The pictures are breathtaking! Would love for you to stop by for my latest post! 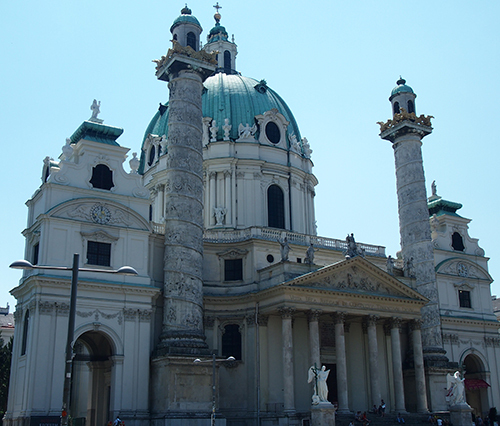 i was amaze in the pictures you took on your vacation in vienna.